What is our approach to producing a documentary? As a director and shooter, I insist that we have a full understanding of the culture, geography and population. We limit the "footprint" of the production in order to avoid disrupting the operation of the mission or disturbing the fragile environment of the rural locations. We utilize the least amount of equipment and fewest crew members possible. I hire and train locals to assist on the crew. Of course, the locals, nor the organization profiled in the project have editorial influence on the project. This serves additional purposes–to offer a skills transfer experience to the local population they would otherwise never have, to obtain access to areas we otherwise would not have and to gain the trust of the local population. The profile mission only contributes to confirm the accuracy of events, medical terminology and the like. As with all of our films, nothing is staged or scripted. We follow strict NPPA journalistic standards and my team and I go to great lengths to make certain all information gathered is vetted for accuracy. This should go without saying, however I have found in some cases, journalists and filmmakers stage and or recreate events without disclosing it to the audience. Many fail to confirm the information given to them, accepting "expert" opinions as fact without original sourcing and documentation to support it. 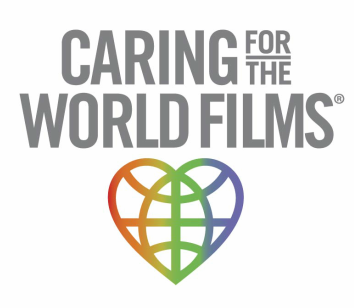 The Caring For The World Film team not only observes, we participate as humanitarian volunteers alongside the mission team. We do so with a critical eye focused on the work being performed. This gives us first hand insight into the reach of the mission as well as the impact. This, in itself, makes shooting very challenging, as the volunteer mission is first priority and filming is second. As mentioned, nothing is re-created, staged or scripted and shooting happens when it happens, as events unfold. To date, every project has required multiple trips with the mission organization in order to uncover the real story. Usually the real story unfolds during the second and third trip. I hope by explaining our methods it gives our benefactors, the profile organization, its volunteers, film festival committees and the public further insight and appreciation for our film. Hearts In The Himalayas was shot on location in the foothills of the Himalayas. In order to maintain a small footprint and minimal disruption during filming, director and cinematographer Debi Lang hired and trained local villagers to assist on the project. Although some did not speak English, they were eager and able to catch on. Primary crew was assistant director Sapta Ghale and boom operator (boom boom girl) Sitashma Parajuli. Not once did I have issues of poor performance with any of the crew. At times, the elevation was at 15000 feet. Sapta was able to RUN ahead of Debi and up the steep mountain side to set up the camera in order to save time. Our entire approach was "run and gun". Nothing was staged and occasionally we missed great photo-ops. The conditions were challenging due to extreme weather (rain, snow, hail, wind, freezing to extremely hot temperatures) as well as steep and rocky terrain. Sapta took great interest in learning about natural light in his location scouting and is responsible for getting us access to locations that have never been seen on camera. There were too many technical issues to mention here, but I will say it is a miracle this film was completed! Somewhere buried in the snow, we are certain a yak is enjoying munching on one of the transmitters lost during a snow storm.